A heart care unit will be opened for the first time in a district hospital of Manipur. The formalities for opening the centre at the district hospital at Churachandpur district headquarters within next month is in the pipeline. This was disclosed by the State Health and Family Welfare Minister Langpoklakpam Jayentakumar Singh while delivering his speech during the centenary commemoration of Anglo-Kuki war (1917-1919) at Tuibong village in Churachandpur district on Wednesday. 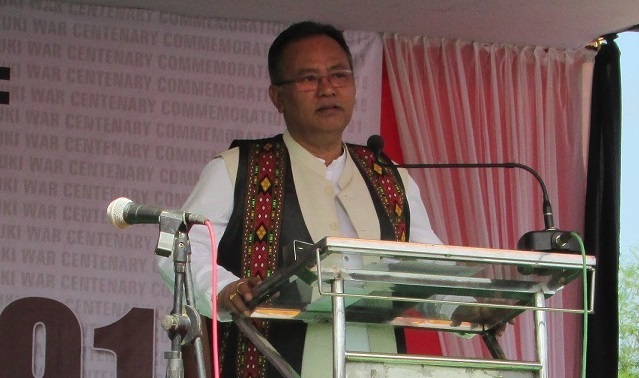 Apart from the heart care centre, the government is also planning for a seven-bedded dialysis unit and a 10-bedded cancer unit which will also launched at the district hospital of Churachandpur considering the public requirement next month, Minister Jayentakumar said. For this, necessary instruction has been given to the concerned officials, he added. It may be worth mentioning here that the State Government has been trying to improve the healthcare sector by opening 50 bedded hospitals in most of the district headquarters. The 50 bedded district hospital at Duigailong village of Tamenglong district has begun its services from October last year. Similarly, although the official inauguration programme of the newly constructed 50 bedded district hospital at Hungpung, Ukhrul has been deferred, the hospital has been allowed to be commissioned for functioning. According to reports available here, the district hospitals of Thoubal, Bishnupur and Senapati are also functioning. At the same time, the work for the construction of district hospitals at Imphal East and Imphal West districts is on the pipeline. The Government has also launched a health assistance scheme for BPL families, widows and disabled persons namely ‘Chief Minister gi Hakshelgi Tengbang’, under which cashless treatment upto Rs 50,000 for health ailments and up to Rs two lakh for certain critical illness is assured. For better health care services in the state, the Government has approved to establish of 10 community health centres, 15 public health centres, and nine urban primary health centres, health department sources added. Interestingly, the Government has increased the retirement age of specialist doctors to 65 years to tide over the shortage of specialist doctors in the State.